The swoon worthy wedding of Sarah & Rob was not too far from perfection. Their rustic charm theme had guests falling in love at every moment of this tented wedding at the Tralee Wedding Estate. It's the little details that stand out! There were so many little touches that made this wedding so special. 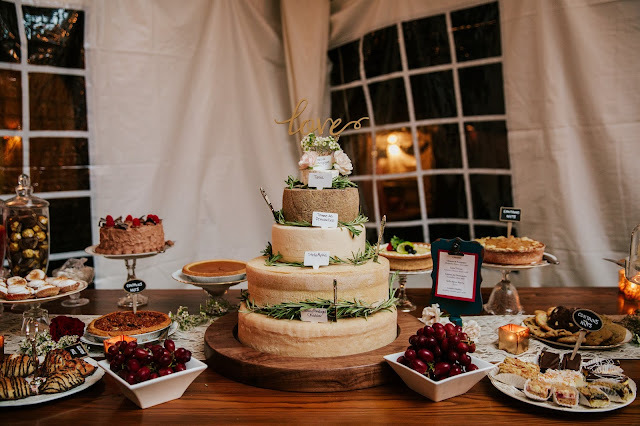 To start, the cheese wheel cake and various sweets at guest tables was so unique it had guests raving! The little car details on the guest tables was inspired by Rob's love of cars, the rustic chairs added to the theme beautifully and lastly but not least their choice of floral added a pop to the tent on top of the navy blue and gold colors. The unique wedding reflected the personalities of Sarah and Rob perfectly. The Trade Sensation wedding planning team executed the evening without a hitch. We are so happy to have been a part of your wedding day, wishing you a lifetime of happiness! We'll miss you! Sabrina & Abid celebrated with an evening of Mehndi, Music & Dance at Chandni Gateway. The evening was filled with laughter, love and traditional ceremonies to celebrate their marriage. The wedding team executed flawlessly throughout both events, keeping the traditional aspects as the main importance. The Bride looked stunning in her gold traditional attire for the ceremony, while the Groom matched perfectly. 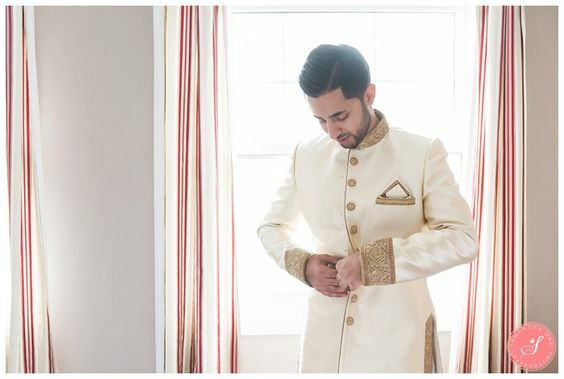 At Paradise Banquet, Sabrina wore a beautiful white wedding gown and Abid wore a custom navy suit. It was nice to see that everything Sabrina & Abid chose represented their relationship and personalities perfectly. Not to mention the fancy bright yellow Porsche car. We loved every moment of their wedding, thank you for sharing your sweet families with us we were honored to be a part of your special day! Trade Sensation Events wishes you a lifetime of happiness!